Construction is booming in Peru, which may be good news for the country's economy, but not its environment. 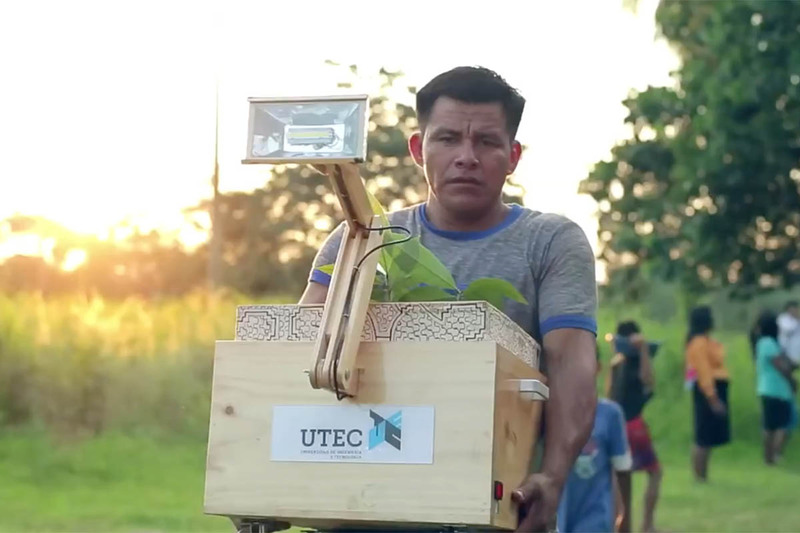 So UTEC, the University of Engineering and Technology, has set out to help offset the impact of all the development with a new billboard designed to purify the air around it. The university previously worked with FCB Mayo on an award-winning environmentally conscious outdoor ad that brought water to the community around it. They reteamed for this new board, which uses a thermodynamic process to purify up to 100,000 m3 of urban air per day, the equivalent of 1,200 trees. 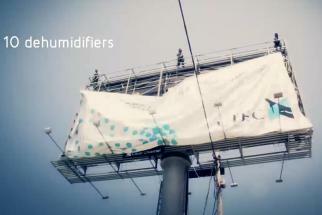 It is able to clean air within a five-block radius. 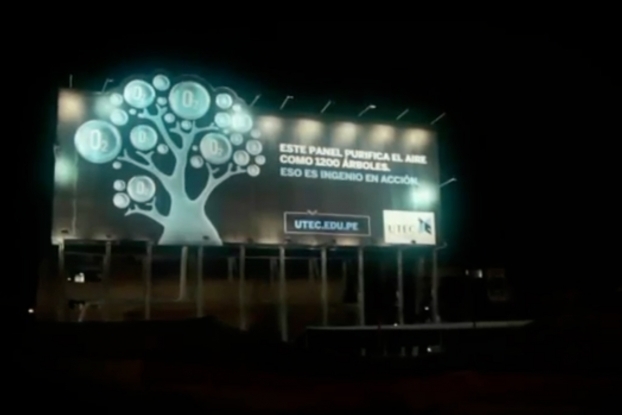 The new billboard has been placed within the construction site of the new UTEC campus in Barranco, to offset the school's own environmental impact as well as promote the school's mission to spark young people's interest in engineering.